Tickets must be redeemed at the Fotografiska entrance, please have your iVenture Card present. Collection Information Tickets must be redeemed at the Fotografiska entrance, please have your iVenture Card present. Fotografiska is one of the largest meeting places for photography in the world. Here, new meetings occur continuously. Some are planned, some happen spontaneously in the moment, in a flow: When people meet art, people meet people, and when people meet themselves. 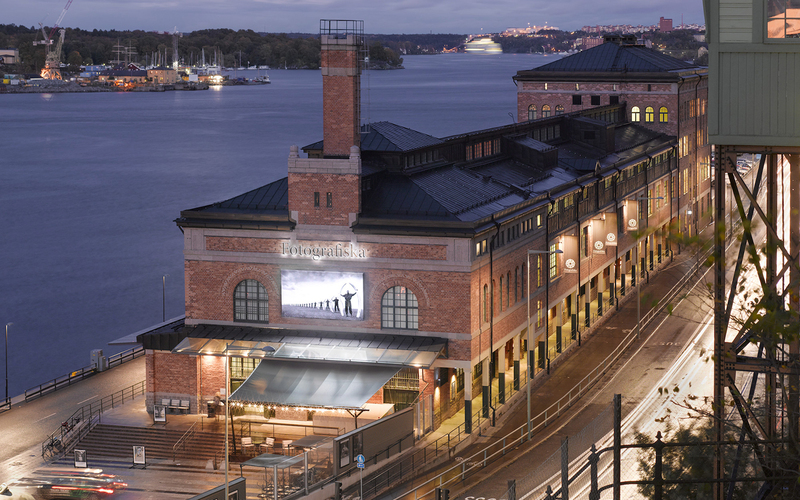 Fotografiska is on the top-list of the most popular places to visit in Sweden. Enjoy the four unique large exhibitions and about 20 smaller exhibitions are presented annually in addition to book and souvenir shops, a restaurant and a photo gallery. The award winning restaurant of Fotografiska focuses on green seasonal dishes in what is sure to be a fascinating dining experience. There are several ways to get to Fotografiska through Stockholm's public transportation and most of them will lead you to Slussen. The subways both red and green line go by the station and there are several city buses that stops at Södermalmstorg. From here, the easiest way is to get down to the bus terminal, past it to the pedestrian crossing and take right as you walk along the seafront for around 500 meters.